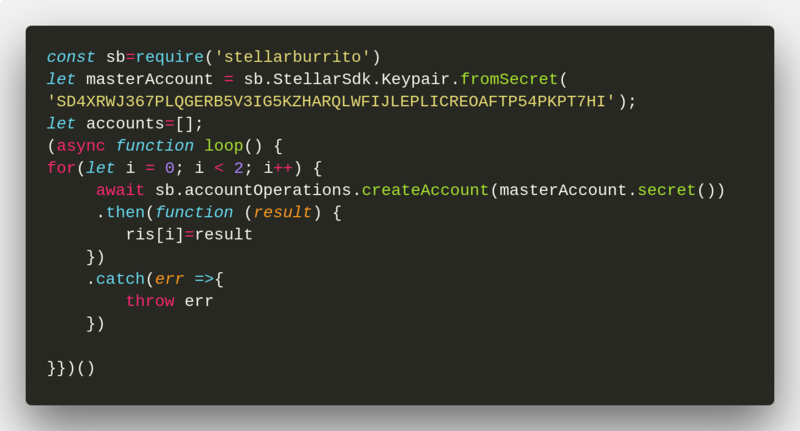 StellarBurrito is a package available on npm. 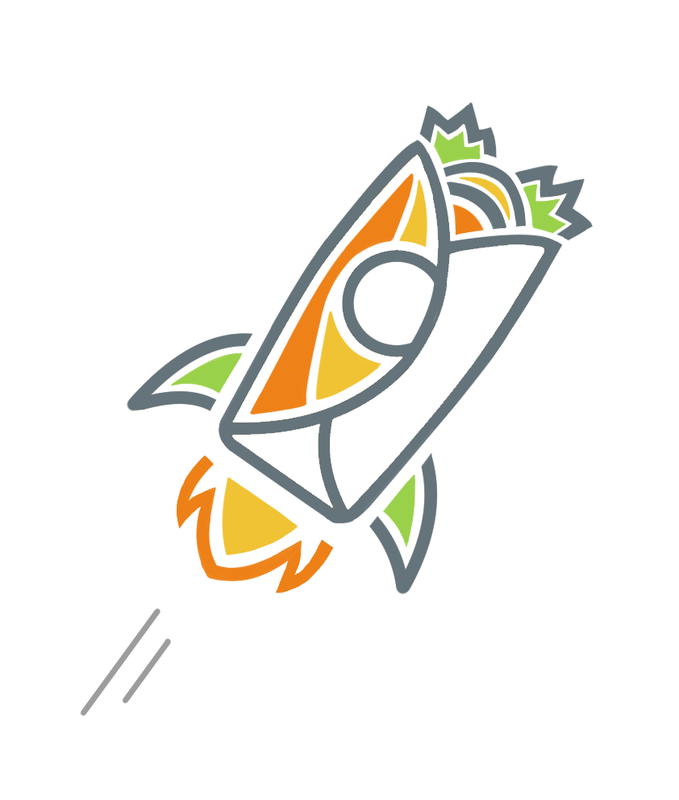 This package’s aim is to simplify the use of stellar-sdk thanks simplified calls to the core library. This project is open source and opens to PR so if you want to help take a look at github project! This tutorial works on test-net, for the moment this library isn’t suitable for production use. Now our project should be initialized properly, let’s create an account! One account is enough, it will be your “master” account for creating both issuer and distributor account. 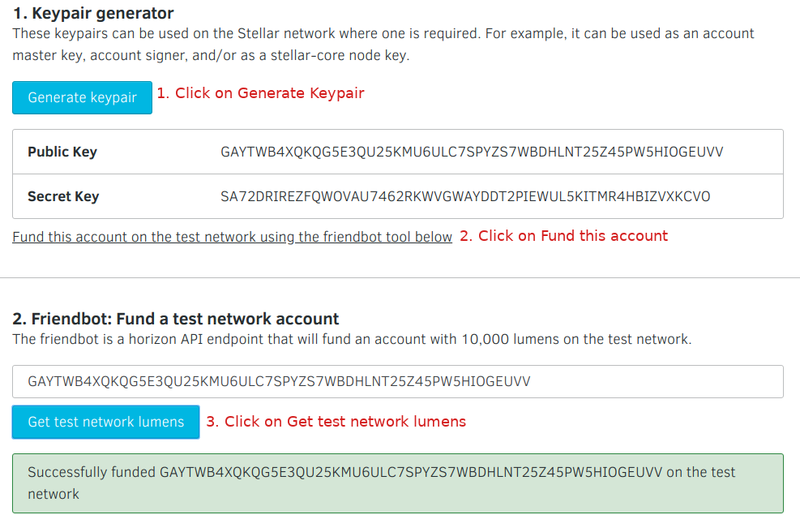 Now we need to create 2 new accounts, an Issuer for our asset and a Distributor which actually will own tokens. 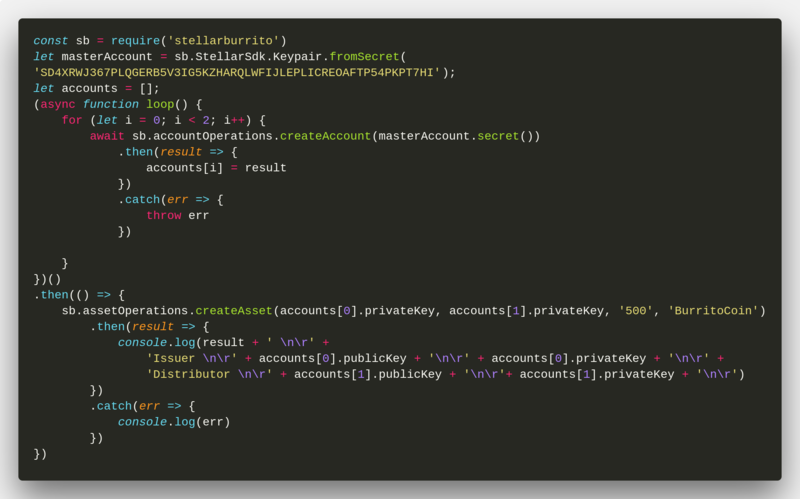 Just iterate createAccount function of StellarBurrito. Perfect! We have 2 accounts and now we have all we need!